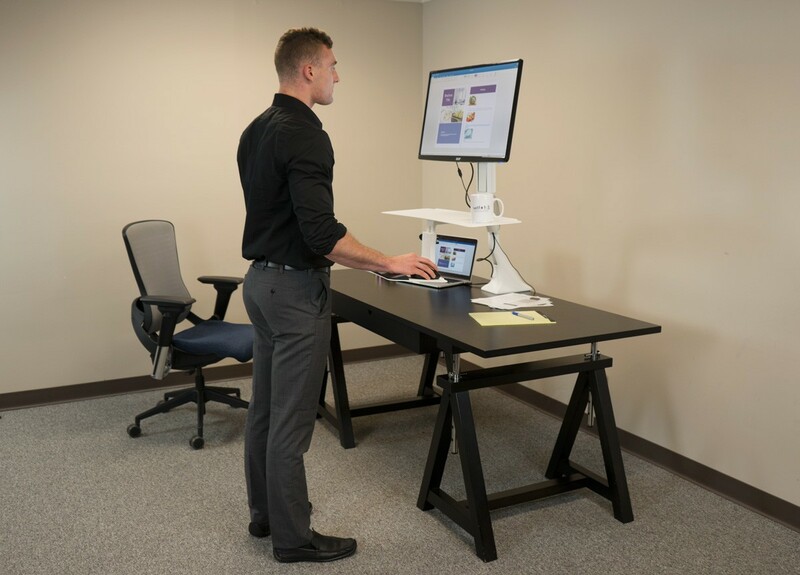 Standing desk converters are a great way to adapt a fixed-height desk to be used as a sit-to-stand desk, but most designs occupy a large space right in the center of your desk, reducing your effective work surface area and cramping your productivity. 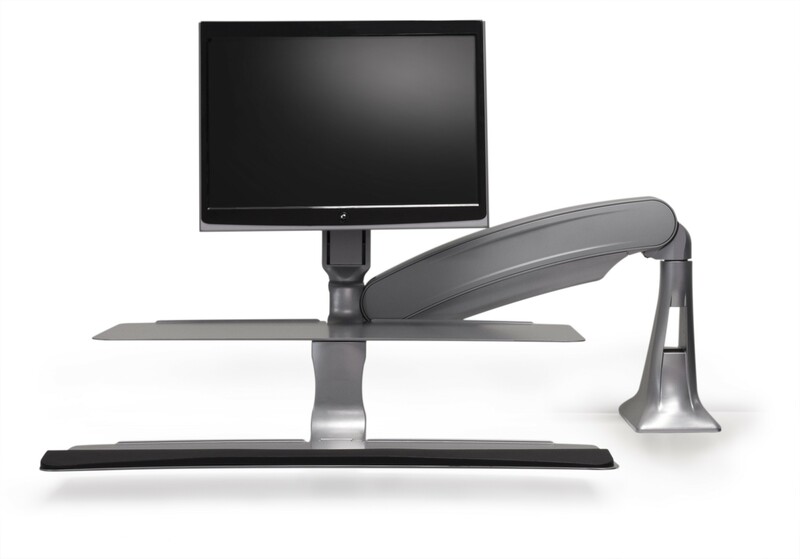 The iMovR Cadence Pro solves that problem—and gives you back virtually all of your existing desktop space—by “hovering” over your desk instead of sitting on it. 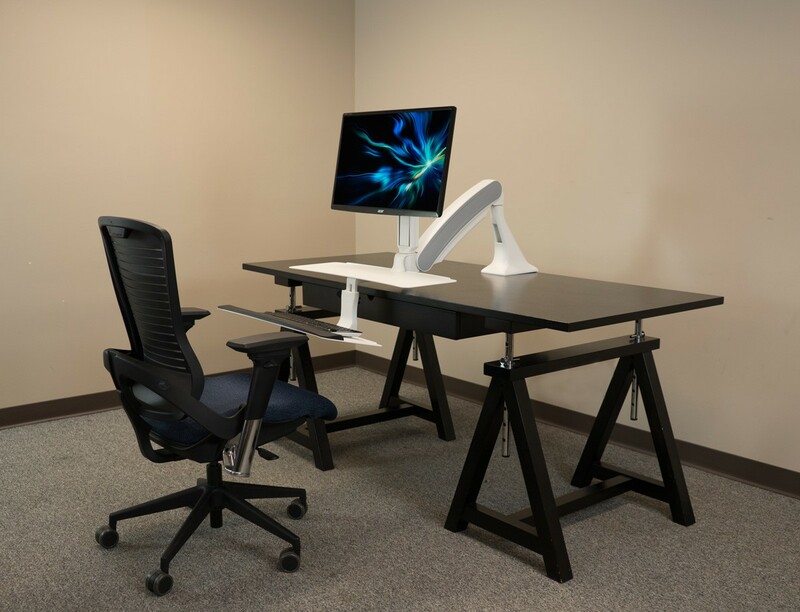 The Cadence Pro has the greatest vertical height adjustment range of any product in this category—so much so that it meets the ANSI/BIFMA standard for the height adjustment range of an actual desk—from the 5th percentile of a sitting female user to the 95th percentile of a standing male. Unlike so-called “ergonomic” competitors, the Cadence Pro keyboard platform not only descends as much as 5” below the desktop, it has a keyboard tilt range of -15° to +4°. 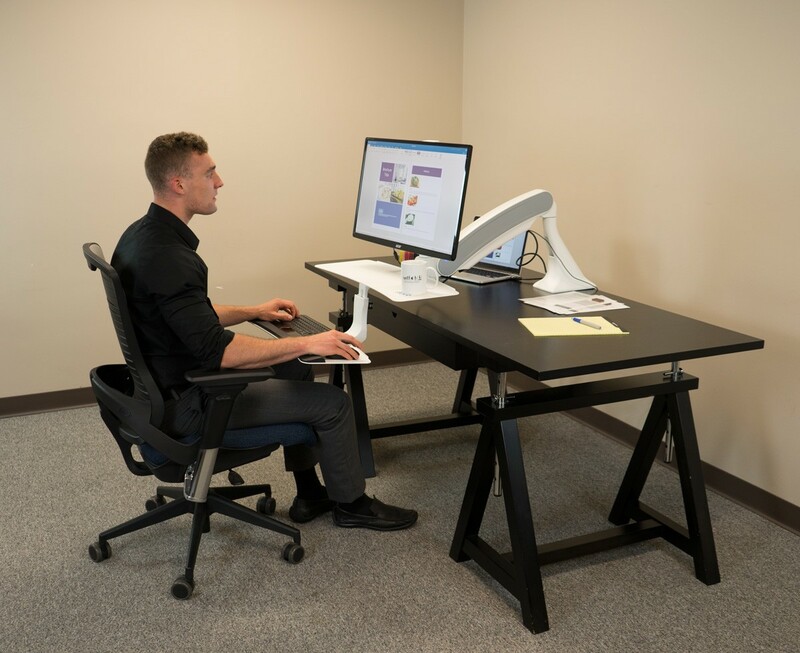 Where other desktop risers actually raise the height of your desk when sitting, and keep your keyboard flat, the functionality of the Cadence Pro's keyboard platform mimics that of a state-of-the-art adjustable keyboard tray that would cost several hundred dollars on its own. 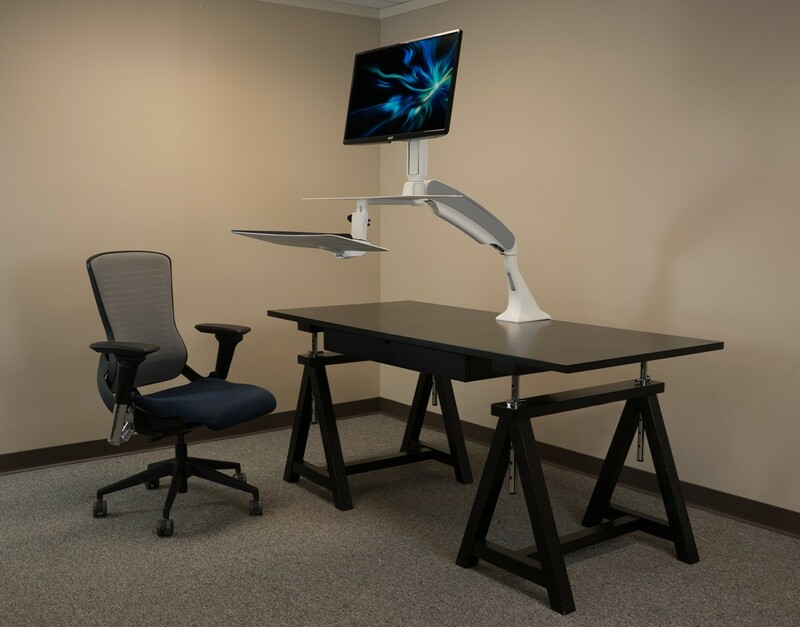 The Cadence Pro sit-stand converter’s monitor adjustability also leaves competitors in the dust, offering all the adjustments you could ever need—including height, pan, tilt and rotation—without the need for tools or getting behind your desk to make the adjustment. 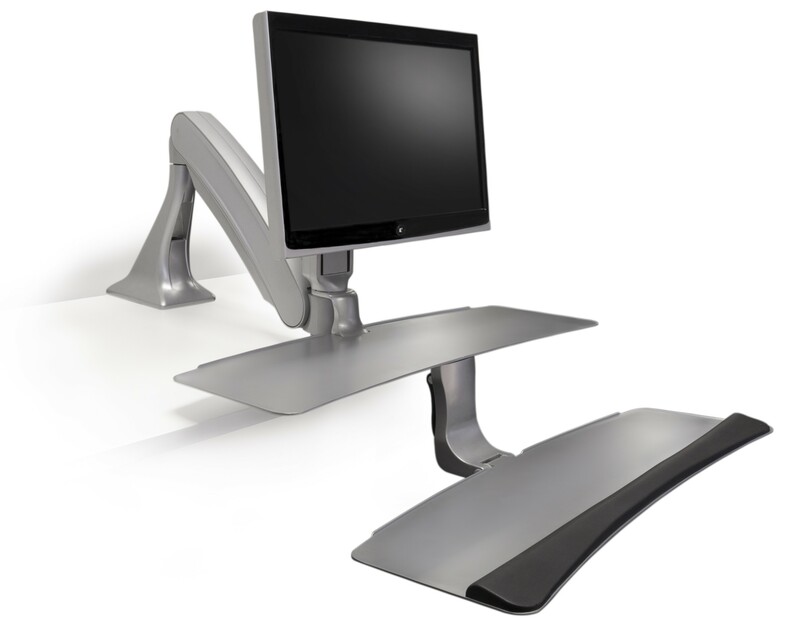 Many users find that they prefer a different distance between the monitor height and keyboard height when they stand versus when they sit. Most desktop converters don’t give you the capability to change that distance with ease. With the Cadence Pro you can make the adjustment in seconds, without tools loosening and tightening knobs. 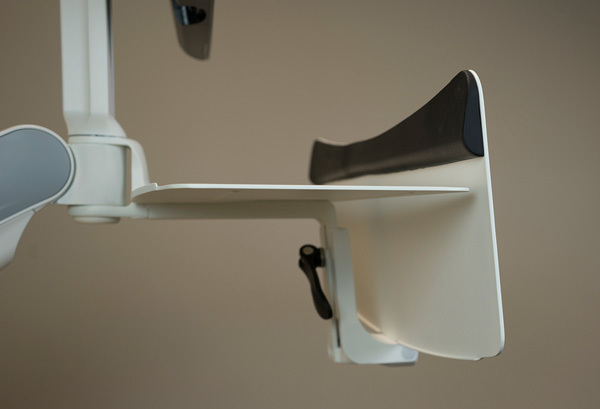 Once you add your monitors and keyboard to the Cadence Pro arm adjust the tension once for easy, instant height changes every time you’re ready to switch modes. 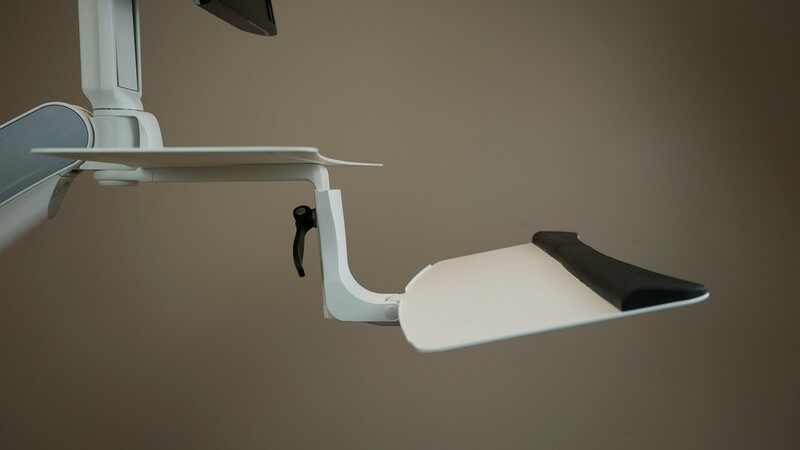 The Cadence Pro weighs 37 lbs—lending it extraordinary stability—but once clamped to the back of your desk you can move your workstation towards you or away from you with just a light push, never having to lift a heavy piece of equipment out of the way to be able to use the center of your desk. 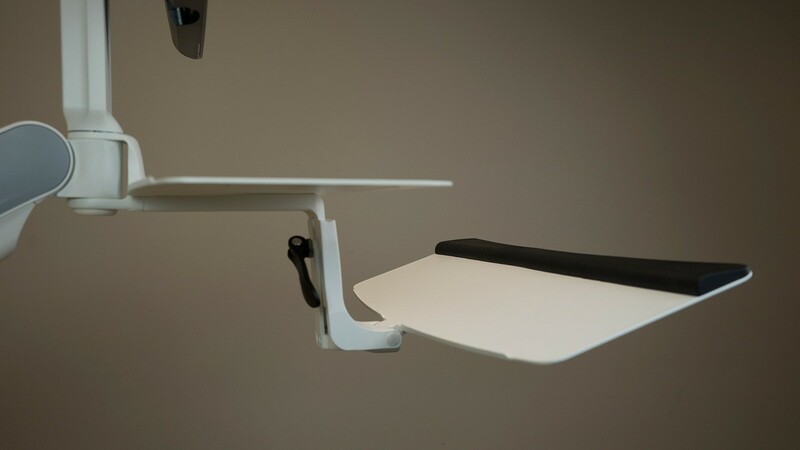 The hefty, angled, base clamp is reversible, allowing the Cadence Pro to work perfectly on both 24” and 30”-deep desks. 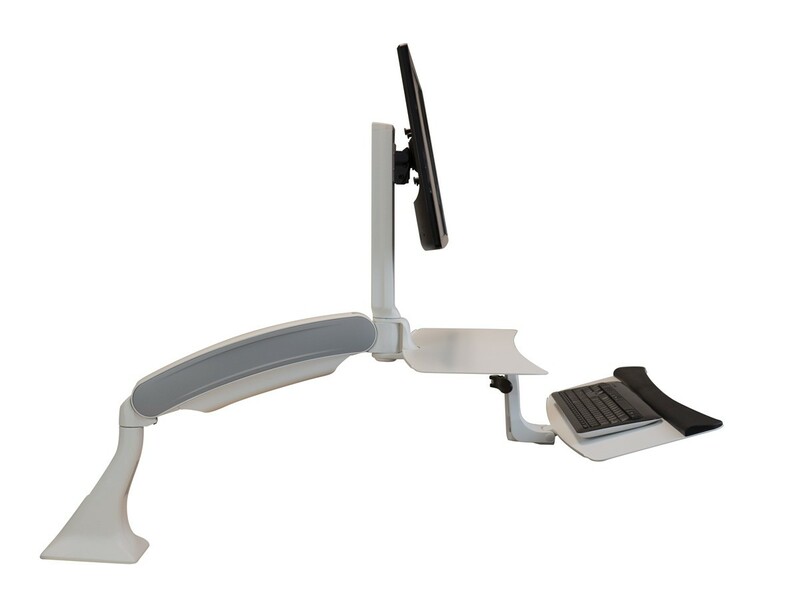 The Cadence Pro is designed to support up to 25 lbs of monitor and keyboard equipment. 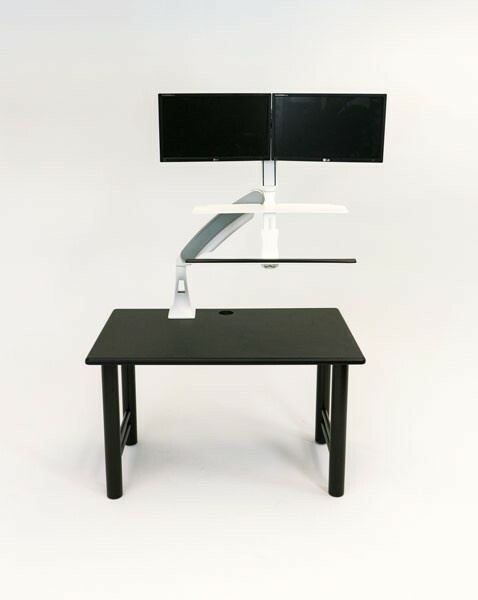 An optional Dual-LCD bar allows you to hang two lightweight monitors—up to 24” diagonal—side-by-side (note: the bar itself weighs eight pounds). Cable management channels are designed into the entire arm, so that the gorgeous finish of the Cadence Pro—available in black, white or silver—isn’t diminished by an ugly tangle of cords. 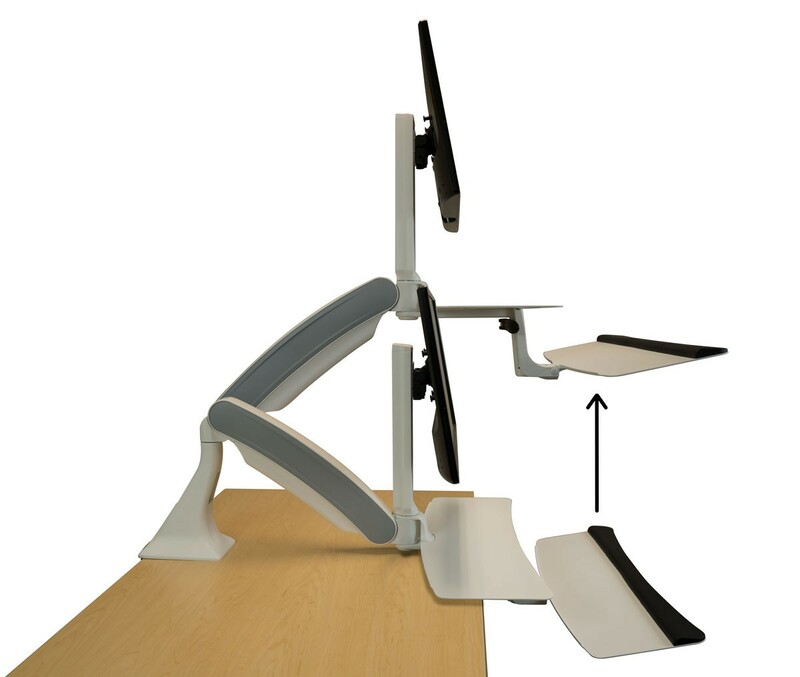 The Cadence Pro is easy to assemble - see this Installation Video for step-by-step instructions. 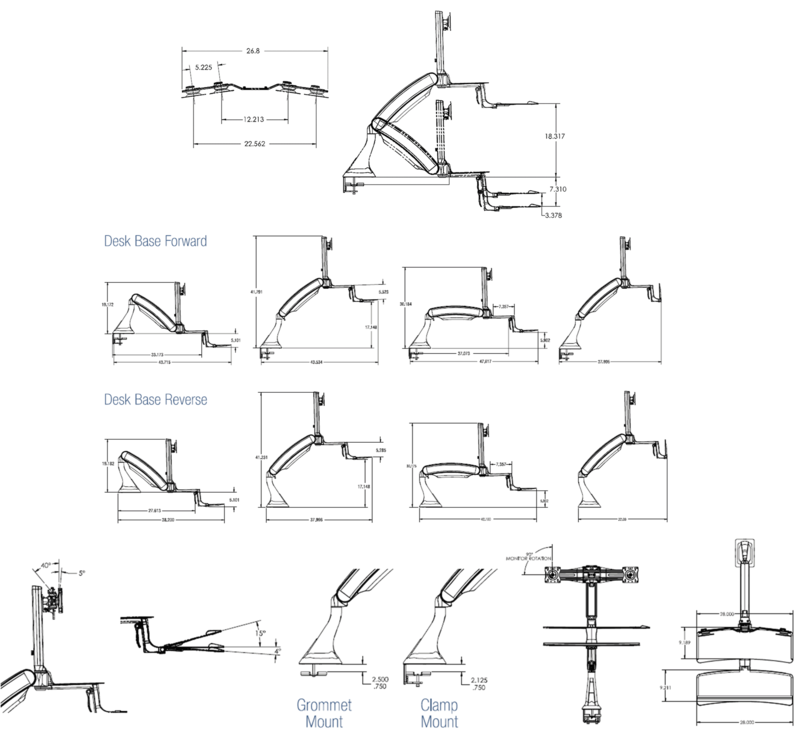 There are sit stand converters on the market made of cheaper, flimsier components, but none with a truly complete range of ergonomic adjustments like those featured on the Cadence Pro. While competing units may have one or two year warranties, we are so confident in the construction quality of the Cadence that we put a 5-year warranty on the unit. The Cadence Pro is all about allowing you to instantly change from sitting to standing in seconds, without breaking your stride. It is a no-compromise design, as elegant in styling as it is ergonomic, and at $549 including FREE Shipping (within the continental US), an exceptional value. We offer a 100-day, 100% Satisfaction Guarantee on the Cadence Pro. No restocking fees apply. See our Terms and Conditions for details. 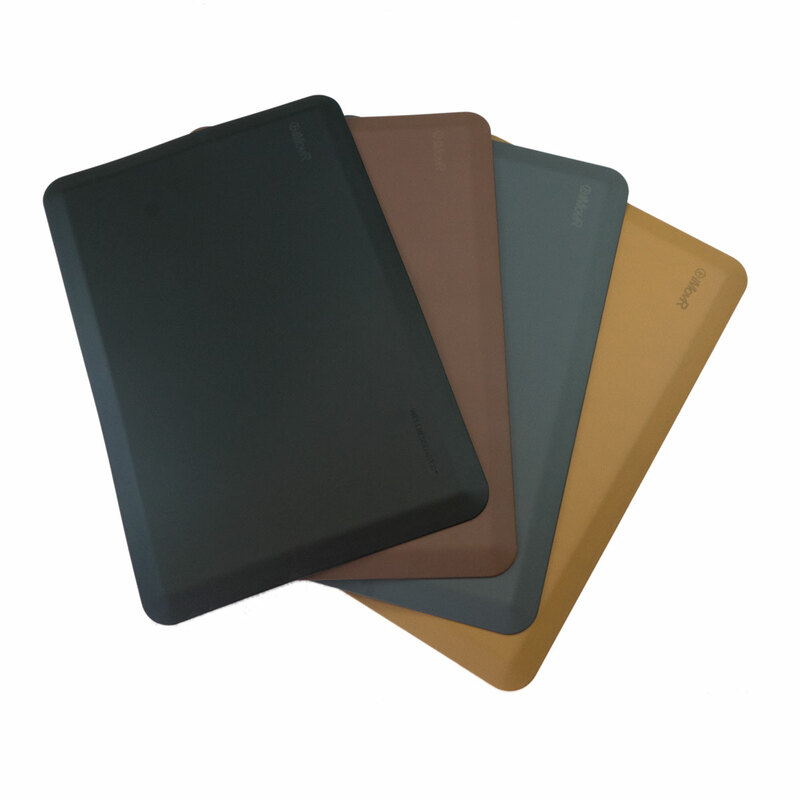 iMovR EcoLast Anti-Fatigue Mats are made from 100% polyurethane material and won’t lose their bounce or curl up at the edges like cheaper mats. Designed to last a lifetime, they help you save time, money, (and the environment!) by eliminating the need to replace your mat every year. 100% made-in-America, these mats come with a five-year full-performance warranty, and are completely recyclable. 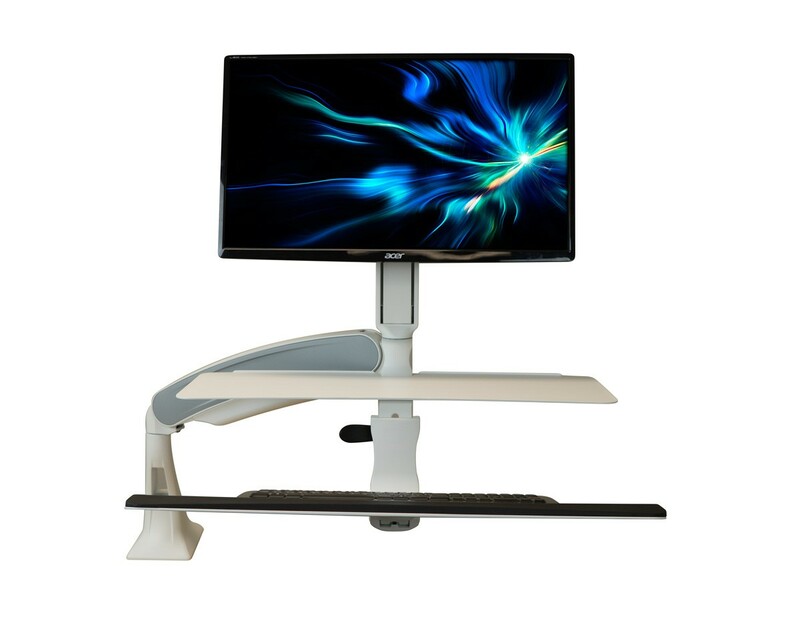 Maximum Height Keyboard Tray: 18.1"
Monitor Height Adjustment Range 9.5"
Maximum Monitor Size (for Dual Monitors) 24"
Keyboard Tray Height Adjustment Range 4"
Work Surface Dimensions Keyboard Tray: 9" x 28"
Base Dimensions 5.5" x 8"
Weight Capacity Total: 25 lbs. Total Unit Weight Single Monitor: 37 lbs. 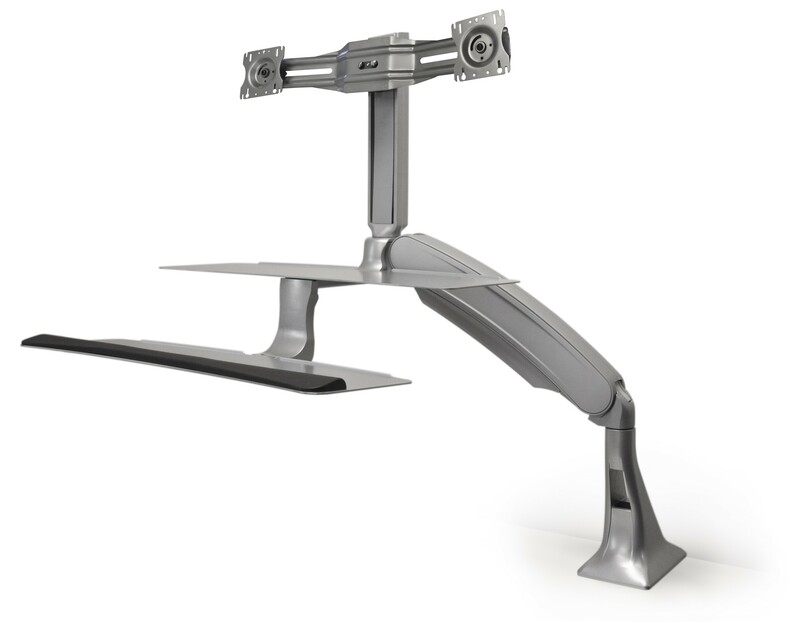 Dual Monitor Bracket Weight 4 lbs. 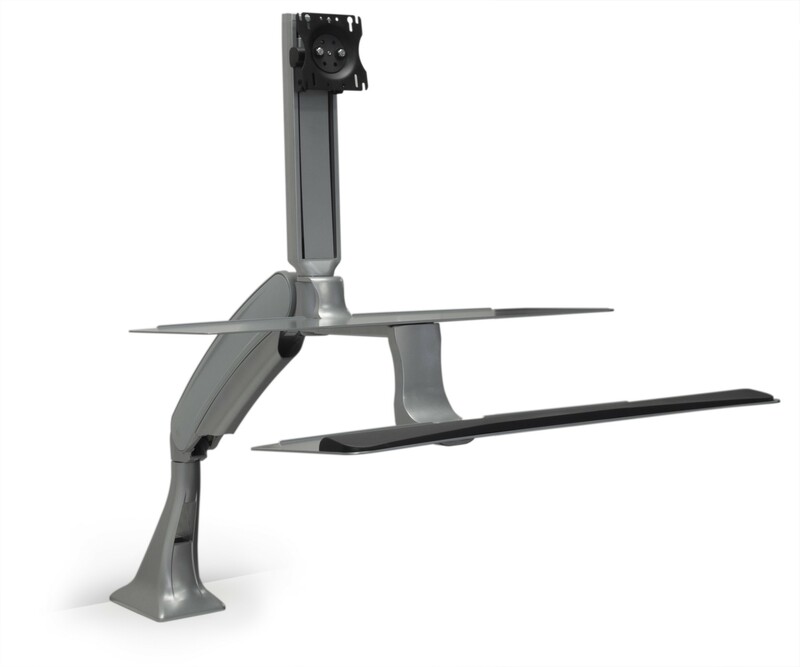 The Cadence Pro Standing Desk Converter is built with robust, durable components, and is supported by a 5-year warranty. See iMovR Terms and Conditions for more information. United States: FREE to Lower 48 States. The Cadence ships within 5 business days of ordering. Please allow an additional 3-5 business days for delivery. Canada: $135, includes taxes and duties. Other International: Please see instructions below for generating a custom shipping quote. 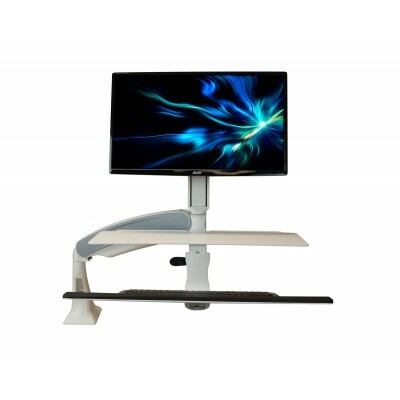 Cadence Pro Standing Desk Converter - 28 in. x 33 in. x 9 in., 48 lbs. 1. We can ship to any freight forwarder in the continental US for the same flat rate as to any other domestic customer. It would be your responsibility to select a freight forwarder, set up an account, and negotiate freight forwarding rates. If you go with this option, contact us at customercare@imovr.com or (425) 999-3550 with your order details and the delivery address for your freight forwarder, and we will get back to you with pallet dimensions, weights, and any other information required for your forwarder to generate a quote for you. 2. For international customers, the product can be shipped directly to you via DHL Global Freight (ocean) or DHL Express (typically 2-day or 3-day air). Please contact us with complete order details, full shipping address, and contact information so that we may generate a quote for you. By default, we will generate a quote for DHL Global Freight (ocean/ground) shipping only — unless you indicate you would like DHL Express (air) or both rates to compare. Please allow 24-72 hours to turn around an international delivery quote.